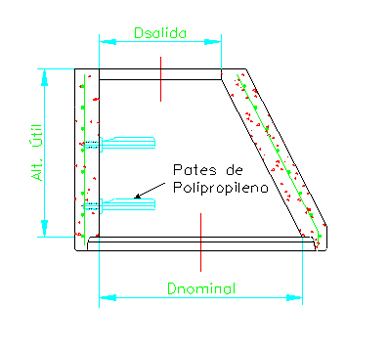 The tapered modules or cones for concrete manholes by PREFABRICADOS ALBERDI, S.A. are closing elements in mass or reinforced concrete that reduce the upper diameter of concrete manholes so different covers can be fitted. Fitted with suitable elastomeric flexible gaskets, they ensure fully watertight joints between the various elements that make up the manholes. They also consist of polypropylene steps integrated in the form of a stairway at the distance specified by the current regulations to allow access to and maintenance of the pipeline, and to be able to descend down to the connections in the base module. In addition to joints with elastomeric sealing gaskets, every tapered module also has various pins to facilitate transport, loading and unloading and the positioning of the concrete manhole bases on-site, providing greater speed, agility and safety in the execution. 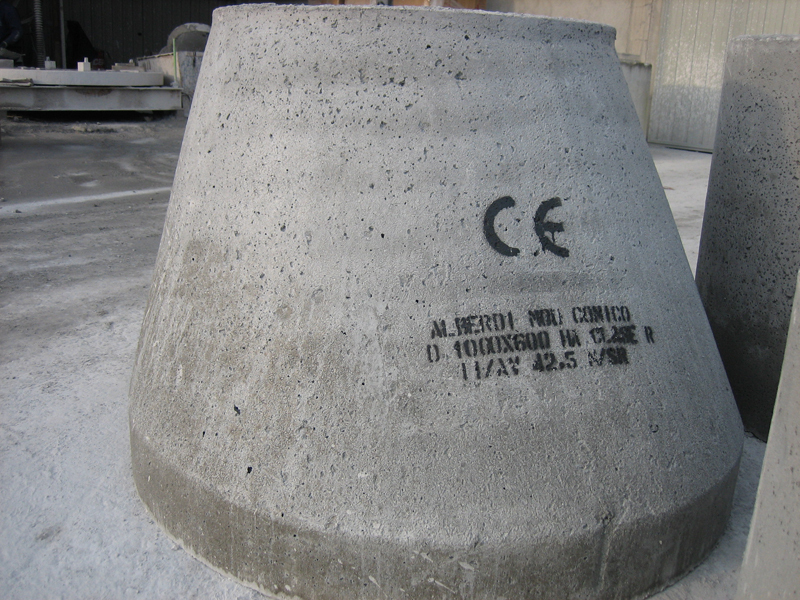 The methods used to manufacture these concrete cones and the use of high quality materials fully guarantee the quality, durability and function of these products. At the same time, due to Royal Decree 1630/1192 entering into effect through European Directive 89/106/CE on the provisions for the free movement of construction products, it is established that the elements that make up the manholes or inspection chambers must carry the CE marking complying with the provisions of the current valid standard, UNE EN 1917:2004. For this reason PREFABRICADOS ALBERDI, S.A. marks all of its pipes with the CE marking by means of dispatch notes.